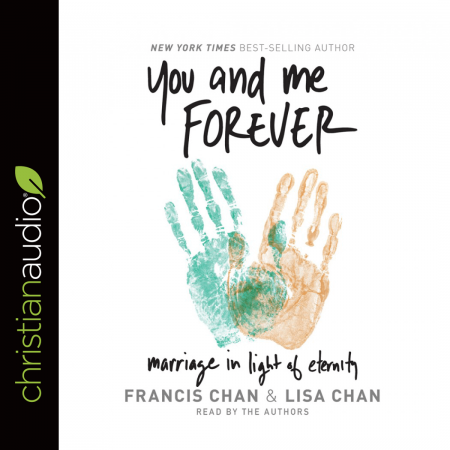 You and Me Forever by Francis and Lisa Chan is quite a fascinating and timely book on marriage in light of eternity. It focuses on attributes of marriage that will continue long after death and into eternity. It has the kingdom of God in mind, not a outwardly “happy” marriage, which is quite refreshing. The focus of this book is that healthy Christian marriages are based on a husband and wife each pursuing God with everything they have, which has the added side effect of strengthening the earthly marriage relationship. Also there is an importance placed on being humble within marriage and being good examples to your children by backing up your words with actions. Before I started reading this book I was expecting tips and ideas about making your marriage better or how to handle conflicts but this book approaches it from a totally different angle. It was really great to see a couple who were not just thinking about making their earthly marriage better but thinking about how their actions now would resonate in eternity. It was a very thought provoking book and something that will hopefully influence my married life in the future. The narrators were the authors, which is usually quite good because they know how they want their material to be presented. At first I thought it was a bit lifeless but as the book progressed they were more animated, which improved the experience immensity. This book is a must for people who are serious about living a life and having a marriage that has eternity in mind. The focus on God and His word regarding marriage and its purpose is really inspiring.